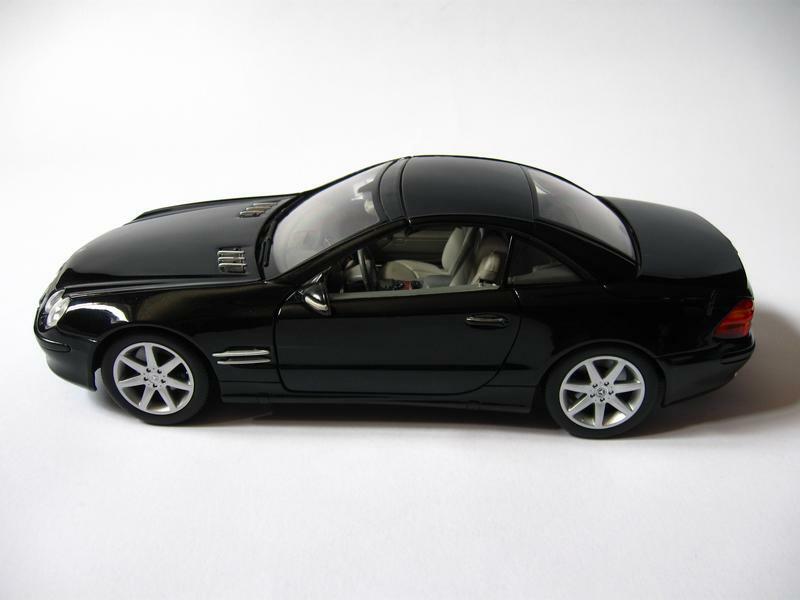 The 1:18 Mercedes-Benz SL500 is one of the proofs that Maisto can make some pretty good models. 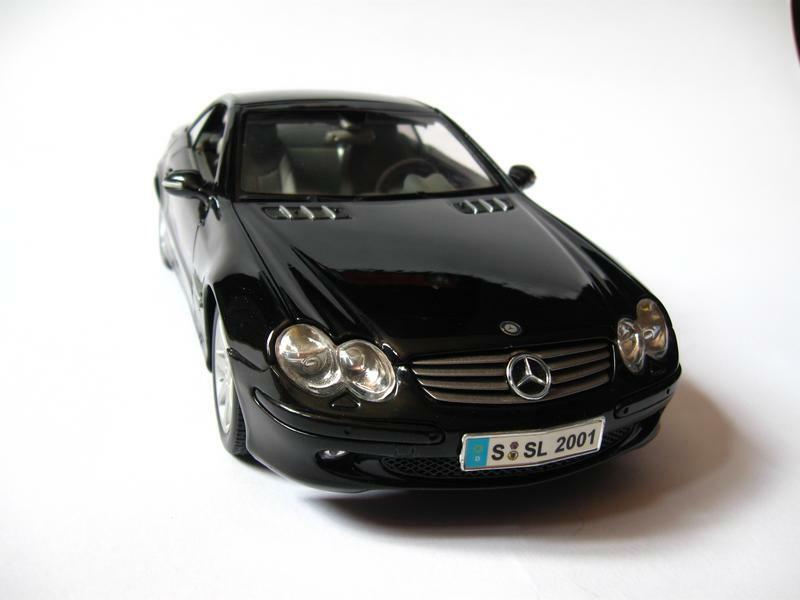 Even when on a budget you can get decent quality and the SL500 delivers. 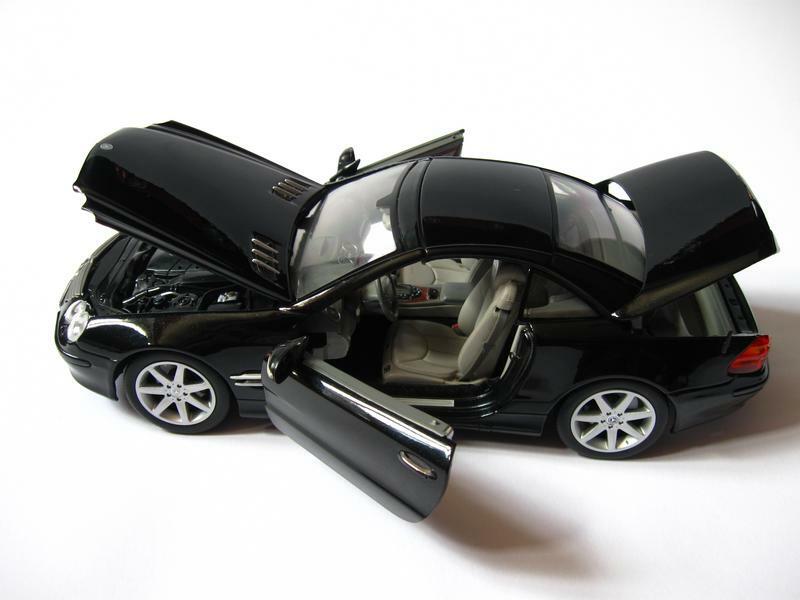 But before we dive into the diecast utopia lets take a quick look at the real car. 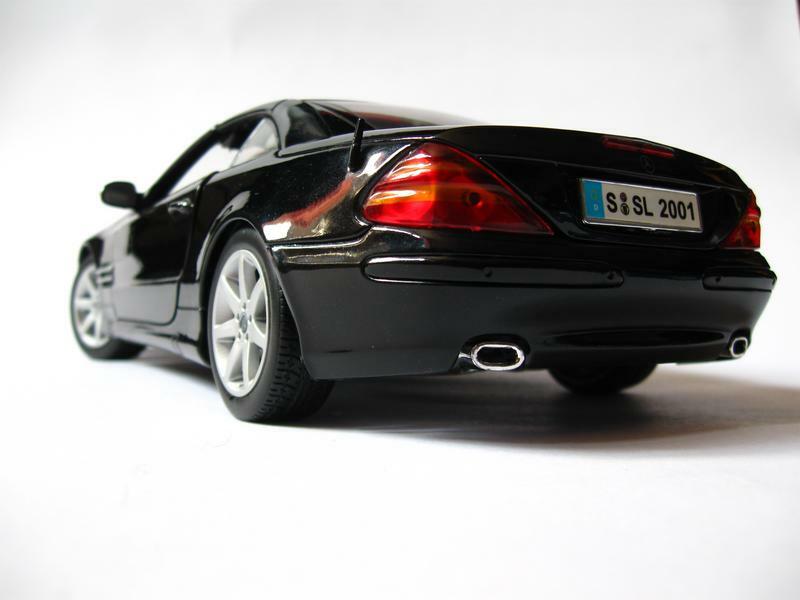 The model is made after the 2003 Mercedes-Benz SL500. The real car features a retractable hard top, also known as a Vario Roof. 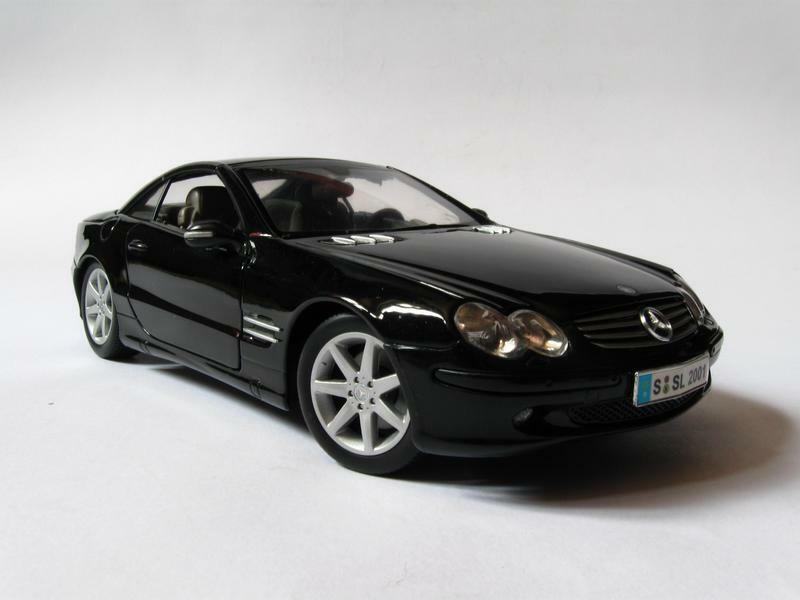 The SL500 had a 5-liter V8 engine developing 302 hp. It used a 7-speed driver adaptive automatic gearbox with touchpad controls. The car featured countless of options like TV, voice controls, adjustable suspension and much more. Overall it is one great, comfortable and spacious convertible. That is if you have only one friend to take with you. But anyway, time to get to the good stuff – the review of the actual model. First the exterior. The model is definitely one of the better budgets out there. The shape is nice and correct, the panel gaps also seem quite good, although the black paint definitely is helping make them seem smaller. The headlights are also well modeled with no visible stubs which is a rare thing on most budget models. Sadly we could (and are) asking for better taillights. The ones here a good, but they can be much better with little extra effort. The roof is plastic sadly but it is a solid plastic so it will withstand the typical picking up and such. There are also no notable differences in the color between the plastic and metal bits which is great. Maisto have made the SL500 with active suspension which is independent on all four wheels. Great but the springs used for the job keep the car unnaturally high off the ground. We know the SL has adjustable suspension but we personally prefer it in the lowest setting. Luckily this is easy fixable by removing the springs altogether.